In Literacy and Maths we follow courses set by AQA or ASDAN modules. We study number, shape, measurement, money, time and focus on using them along with reading, writing and communication skills in as many real life situations as possible, for example in shops and cafes. 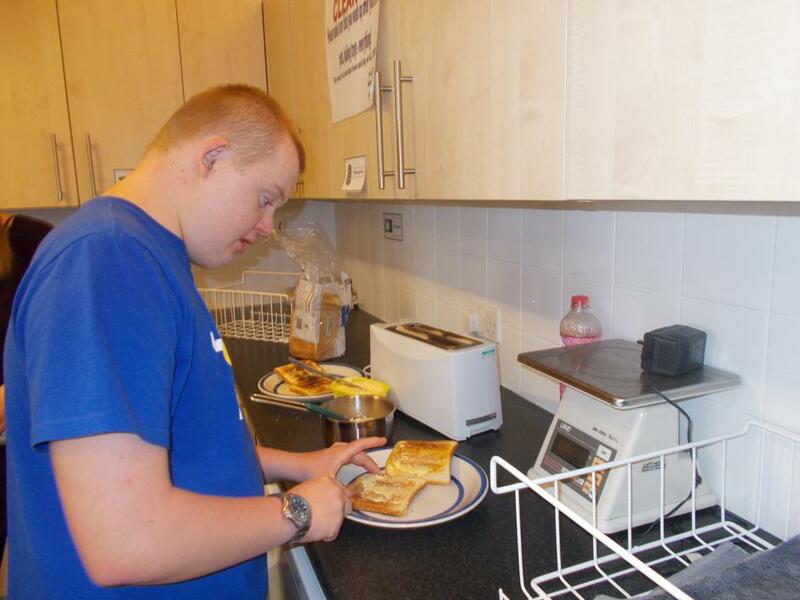 As we look to our futures it is important for us to develop our independent living skills in every way and we try to take every opportunity to experience and practice these. 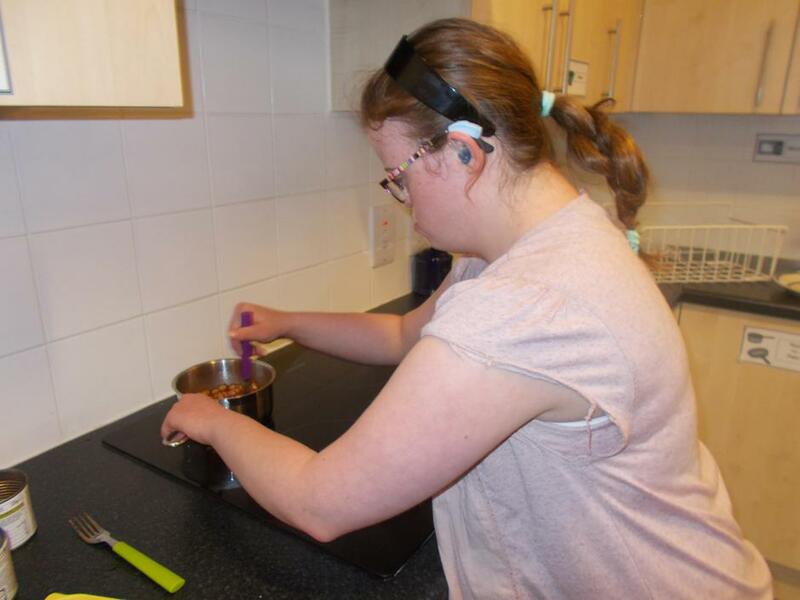 We are working towards completing the ASDAN module Meal Preparation and Cooking and are learning many practical skills as well as about the importance of hygiene and safety in the kitchen. 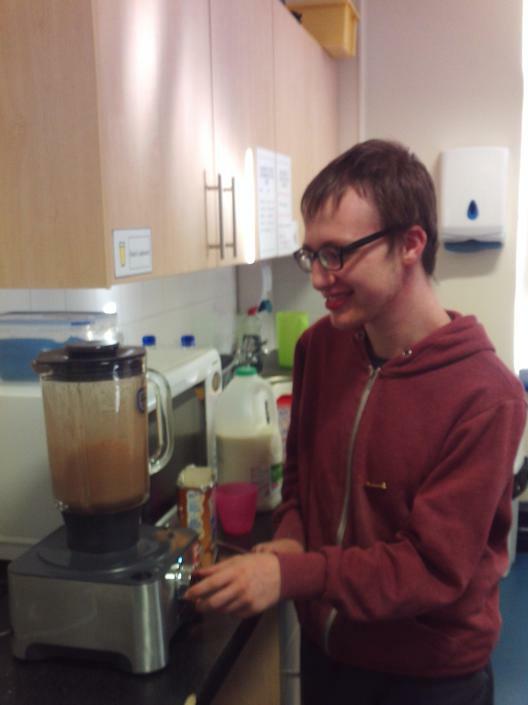 We have been increasing our independence skills by making cold and hot drinks. 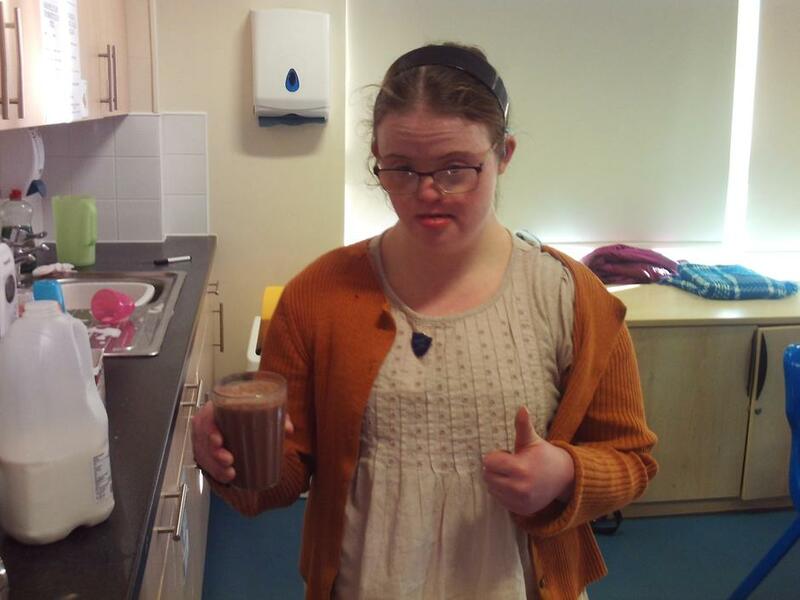 We have made choices between orange or blackcurrant juice and strawberry or chocolate milkshake. 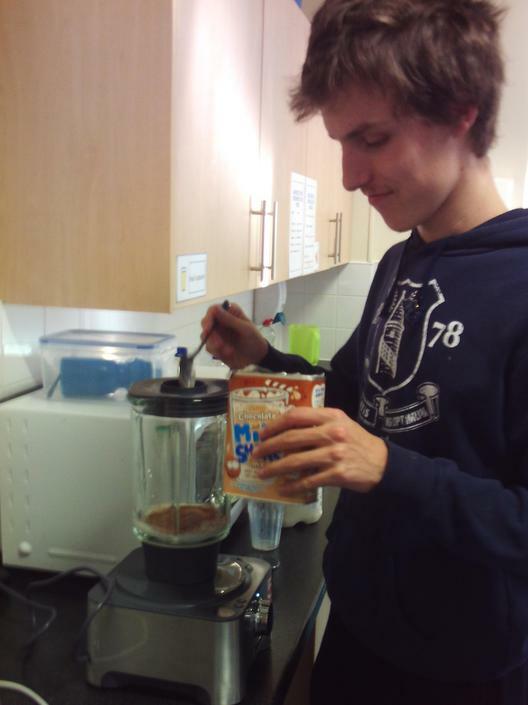 Those of us who chose milkshake operated the blender which made some of us jump when it started whizzing around! 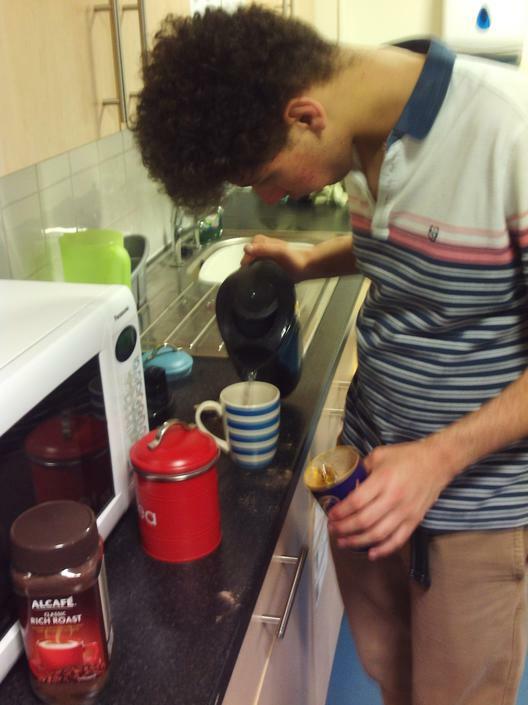 We chose to make either a cup of tea, coffee or a hot chocolate drink. We were very careful when boiling the kettle and pouring the hot water into cups. We would love to show off our new skills by making our families a drink. 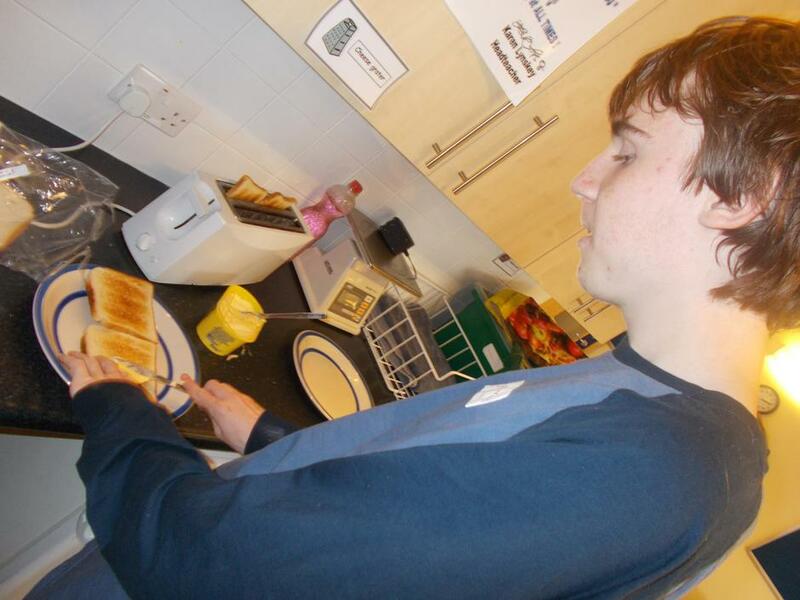 The class have been making beans on toast. This has involved learning and practicing a lot of important skills such as opening tins, using a toaster and buttering toast. We have had to remember how to be safe when using a pan on the hob. We are very proud of how much we have learned and would love to keep practicing at home if you can help us. 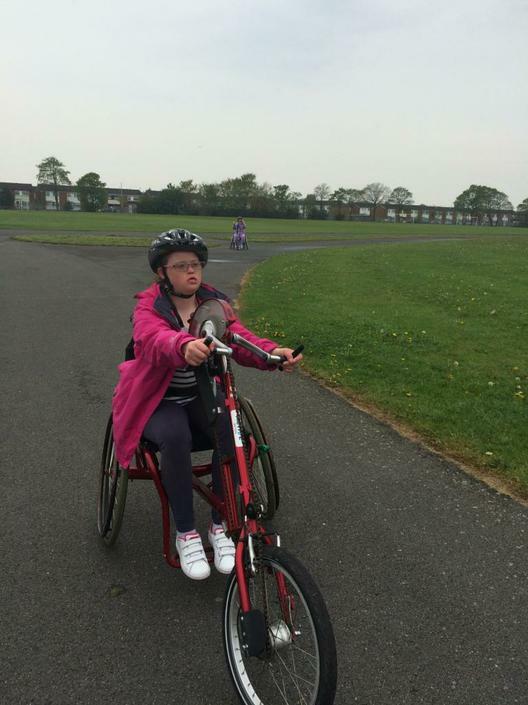 As part of supporting young people to develop their skills, your child will take part in work related learning experiences and enterprise activities on Thursdays. Enterprise helps support the students to use their numeracy and literacy skills in a different context. We are continuing to work at the farm although some of the activities will take place indoors if the weather becomes too cold. 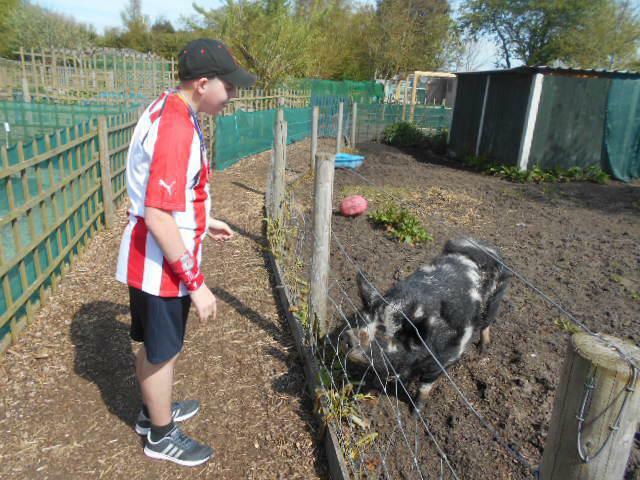 We still have to care for all the animals however and feeding them is always a great favourite, especially Pebbles the pig! During this half term some students took part in a Car Washing business. They designed posters to advertise the business, discussed pricing and also the equipment that would need to be purchased. Wearing suitable clothing they worked as a team to clean staff cars in all kinds of weather! Other students were responsible for collecting the payments. 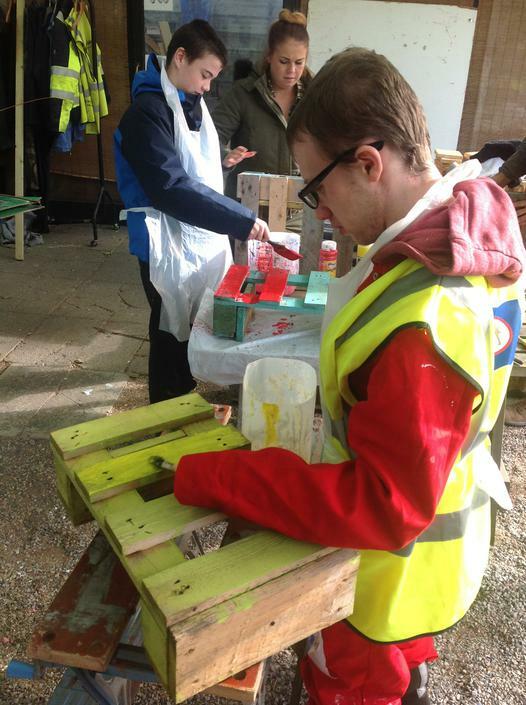 Some students visited Bridge Inn Farm where they worked in the wood workshop making bird boxes. This involved hammering and painting. 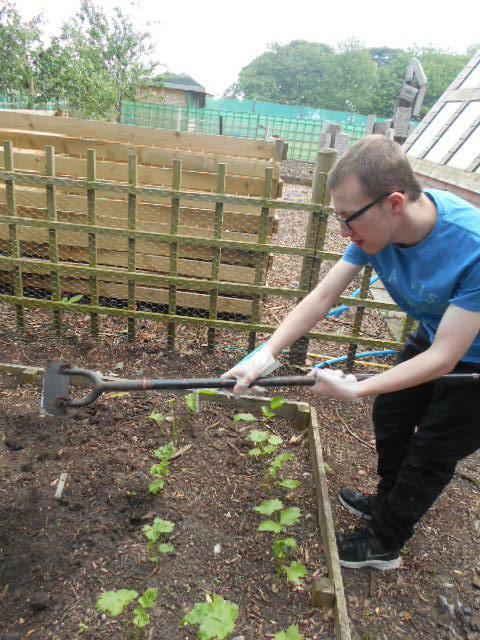 For others, gardening skills such as hoeing and weeding were taught as the students learned how to care for vegetables in the allotment. 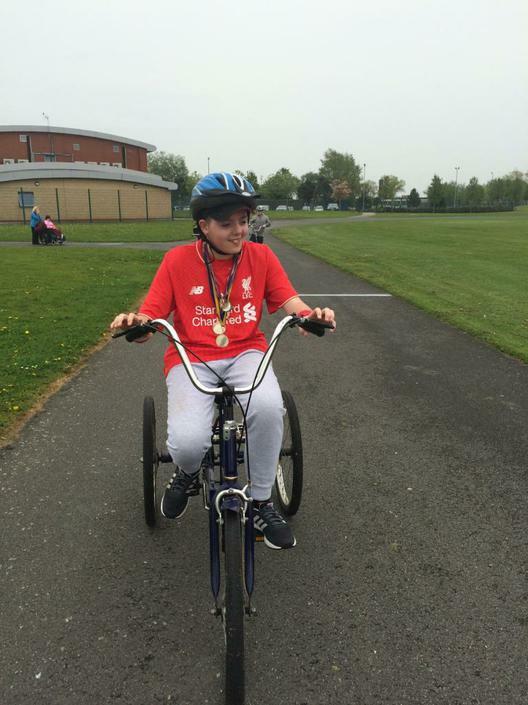 As part of our ASDAN modules we will be visiting shops, cafes, leisure centres, sporting venues and many other places in the community. Some of us will be attending a Travel Training course when we will learn about how to travel on public transport safely and independently. It has been a big term for a number of students in Ben Nevis, They have been studying hard for AQA accredited exams. These take the form of examination papers and specific teacher assessments that involve an number of practical test set in real world situations. On the day of the exams students were a little nervous as were the staff, although none had anything to be worried about, all students did really well on the day and managed to complete all the tests that they were asked to do. Some even said that they enjoyed the tests! This term marks the reopening of the Rowan Park Bakery, Horticulture experiences and a new experience involving a trip to Tesco around the behind the scenes look. We will also begin to complete Work experience visits. so far we have two experiences lined up at Dobbies and Tescos. The bakery as usual was an instant hit. From the beginning bread was sold using a tried and tested favourite recipe and full loaves were sold for a bargin price of £1.00 to £1.50 depending on the size and additional flavours to the loaf. Class loved the loaf and Thursday was a day when the whole school would use this bread for snack time. I have to say that the bread was lovely. As teh term progressed students began to develop their own recipes as well as request came flooding in for new bread to buy. The bakery staff completed a number of trail recipes and it was decide that Garlic bread would be the winning recipe. This went down amazingly with the whole school and often visitors would purchase the goods. It was liked so much these flat breads where sold at a school enterprise event. 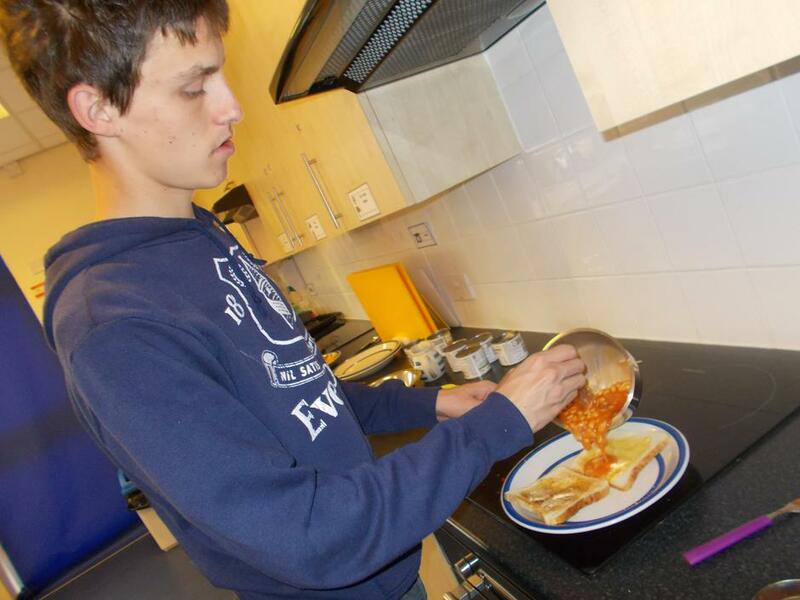 Coupled with Bridge End Farm students taking part in careers experience flight path have been growing food with the aim to sell the grown food, at school and perhaps to other classes who may use these home grown organic vegetables to make Thursday soup. Vegetable grown included onions, carrots, pumpkins, courgettes and potatoes. At the moment the veg is growing and we look forward to a harvest this coming Autumn. 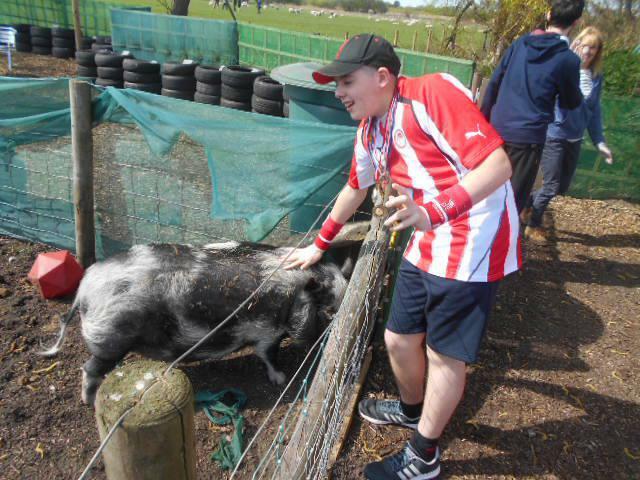 Our first student to go out on work experience , was sent to Tesco's in Litherland. The store was fantastic in allocating him a role in store as well as a uniform, badge and dinner card. The job was hard and he was only given a single break in the morning! Jame's role was to stack selves and be responsible for the crisp isle making sure that it is was well stocked and all the bags where displayed so that they looked good to buy. Afternoons entailed working on the tills, checking out the items that customers bought. This was a challenging rewarding job, but it seems that James was loved by the customers and often would select his line above others! 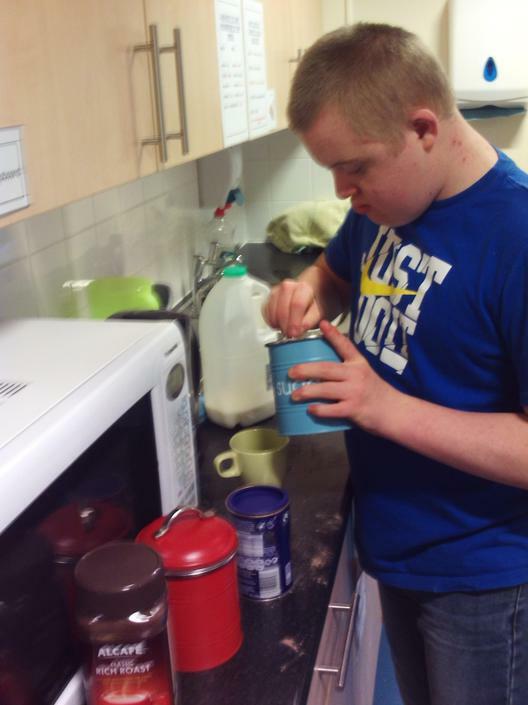 At the end of the placement, James was invited to apply for a part time job if he required! Well done James. 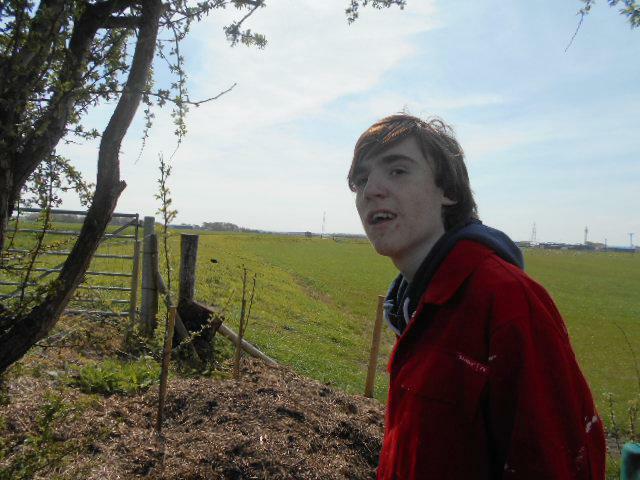 Next was a placement at Dobbies, in Southport. The job here was two fold, 1. working in the aquatics store 2. the planting area. Both jobs were challenging, Thomas found the aquatic area the most rewarding and enjoyed looking after the animals which included turtles, fish and other reptiles. The planting area Thomas said was fun but he tells me it was difficult to ensure all the plants were watered correctly and that they looked good for sale. 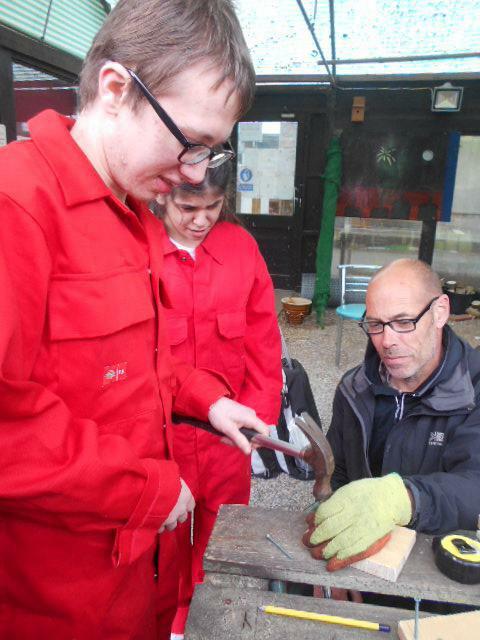 Again at the end of the two week placement Thomas was invited to apply for a Saturday job by Dobbies!